It is often said that it is never a good time to start a fashion brand, but for Lee Ji-min, founder and creative director of J.Cricket, it meant that now is as good as ever. So Lee, armed with years of experience in high-end fashion retail in China as well as a creative desire, plunged once again into designing. Lee had her own fashion brand which she folded after the 9/11 attack. In 2003, together with an Italian partner, she set up a fashion consultancy business in Shanghai with major European luxury brands as her clientele. Lee officially launched J.Cricket early this year, with a collection of a few items, starting with a sleeveless coat, or gilet. She also threw in a boyfriend shirt, as she found it difficult to find just the right one. While they are essentially basic items that women turn to again and again, Lee gives them dramatic volume and movement, turning them into basic yet statement pieces. Walk in her gauzy white voile boyfriend shirt and you make a statement with the billowing back. “You make an entrance with a smile, exit with a big gesture in clothing,” said Lee at a J.Cricket pop-up store on the third floor of the exclusive Boon the Shop in Cheongdam-dong, Seoul on Monday, where she was holding a two-day special event. “The idea is dynamic woman on the go,” Lee said about J.Cricket’s concept. The goal is to make her women look stylish without too much effort, she explains. With a hectic dual career, Lee, a quintessential woman on the go, might just be designing to meet her own needs. “It is a trans-seasonal collection that works with a daily wardrobe,” she explained, adding it reflects her personal style. While her clothes are intended to travel well for the literal “woman on the go,” Lee is uncompromising in her choice of fabrics. She shuns hi-tech fabrics, preferring to use natural fabrics such as cotton, cashmere and silk from top quality mills in Italy, where all her clothes are produced. Having experience in the business side of the fashion industry is definitely a bonus, an advantage Lee has over designers who lack such business insight as well as network. While most people consider a brand a success when it makes to the racks at top stores around the world, Lee knows that the reality is not so. In fact, department stores can be a death knell for young designers. Lee plans to keep her productions small, and offer them at a small group of exclusive retailers. 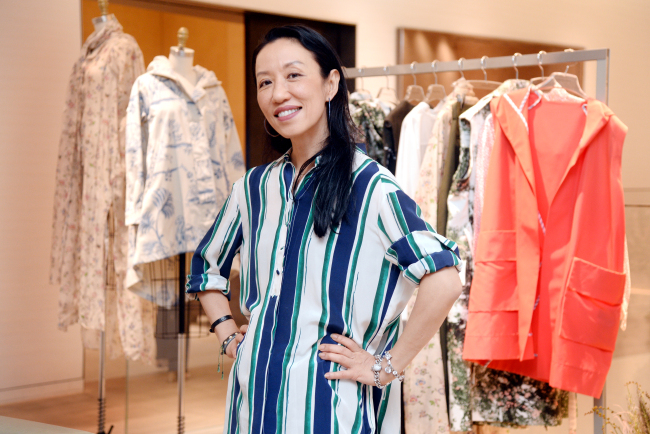 In her first year, she has tested the waters at Bergdorf Goodman in New York, Lane Crawford in Hong Kong, SKP Select in Beijing and Boon the Shop in Seoul. “Luxury is available everywhere. True luxury means a little bit of scarcity,” she said.